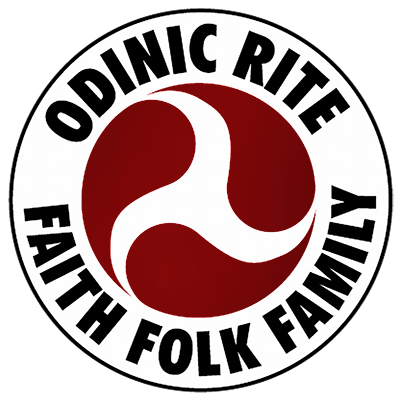 It is incorrect, although a prevalent concept among Odinists, to equate Loki with the Judeo-Christian devil, that odd concept of a totally evil force that yet does the dirty work for a supposedly total good force. Loki is not the devil. Far from it. Nor is he totally evil. He is the moving spirit behind our desire to control our environment, behind the drive that is expressed in our folk by the need to exercise their ingenuity. He is part of the active intelligence of our race. Although all spiritual forces, all spiritual beings, both gods and men are affected to some extent by the cycle of the ages, the gods of our people remain true to the pattern of our destiny – all except Loki. He is the god that changes. In the far dim past, when our people first set out on the journey of humanity, Odin and Loki were as brothers. Loki was then as much a yea-sayer as Odin himself. When woman first learned to spin thread and man learned to chip flint Loki was their inspiration. He is the god of material technology, the spirit that lies behind our ingenuity, the god of invention and science. And this is the crux of the matter. For as the Ages change and the worlds of Form and Spirit appear to draw apart Loki’s strength waxes, he becomes very powerful but locked into Midgarth, bound into the world of form and exiled from Asgarth. He inspires us to ever greater powers of manipulating and transforming the substance of this world. As the summer of the Great Year drew to a close and winter began to set in we seemed to lose contact with most of our gods – but never with Loki. He is always with us. As the Dark Age progresses Loki gains strength in material powers but loses the love, the compassion, that alone can make the use of our technical ability an activity in harmony with nature and the Earth. That we have allowed ourselves to become enslaved by the monstrous money system is Loki’s doing. He has given us into their hands, he has become their servant. The powers behind this “system” have great cunning and tell powerful lies but their actual creative abilities are very limited. They can take over the technology created by others and use it to great destructive effect, but the ability to build such a technology themselves is lacking. Our abilities, our inventive genius, have been delivered up to them – by Loki. We have been enticed into a trap. We can see the tale of Loki’s Brood as a parable for our times, see Fenris Wolf as technology, a force that began as the gentle servant of man but which grew strong and ever stronger and difficult to control until now it breaks loose and seems poised to devour us. We can see the World Serpent, Jormungandr, as the great strangling system of international finance that controls all nations and all races, a system that Thor’s Hammer must needs destroy if any race or nation is to survive the cataclysmic future, a destruction that will “shake the world”. Loki is our enemy, an enemy that lies within ourselves. As a spirit of invention he was of wonderful benefit to us so long as we held true to the pattern of our racial destiny, so long as we maintained our love and reverence for nature and the Earth and lived close to the divine spirits of our people. Loki is manfest in each of us and must be fought there – in our own minds and souls. We must take care not to be part of Loki’s Brood. Many children of this god reveal themselves by truckling to the rulers of the system, by accepting its lies and manipulation, by living for pleasure alone and physical sensation, by refusing to take risks even when they recognise the enemy. The hags of “women’s lib” are part of Loki’s Brood and all the anti-life forces of homosexuality and the touters of abortion. The Circle of Ostara is dedicated to the overthrow of Loki’s Brood.